You can test and confirm your current progress report data, using the Generate Sample Report feature. When you do this, the term will be left open and that teachers can continue to enter data, and you'll be able to download a PDF that contains up-to-date data for the term or quarter. After you've logged in to MasteryConnect, click Admin, and then click Progress Reports. You will see a list of the progress reports that have been created. Find the progress report and term for which you want to generate a sample report, and click the Generate button. Next, select Generate Sample Report. When you are asked to confirm your choice, click Generate Sample. After the sample report is generated, you will receive an email. To download the report, simply click Download Now. 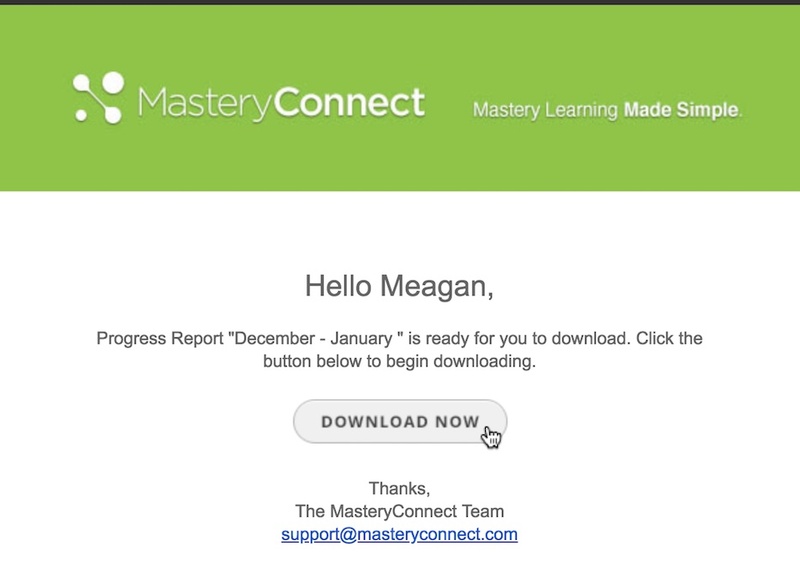 You can also download the report by returning to the Created Progress Report page in MasteryConnect and clicking Download Sample Report.